Please inquire about trip pricing. If water levels are low, one portage is likely. 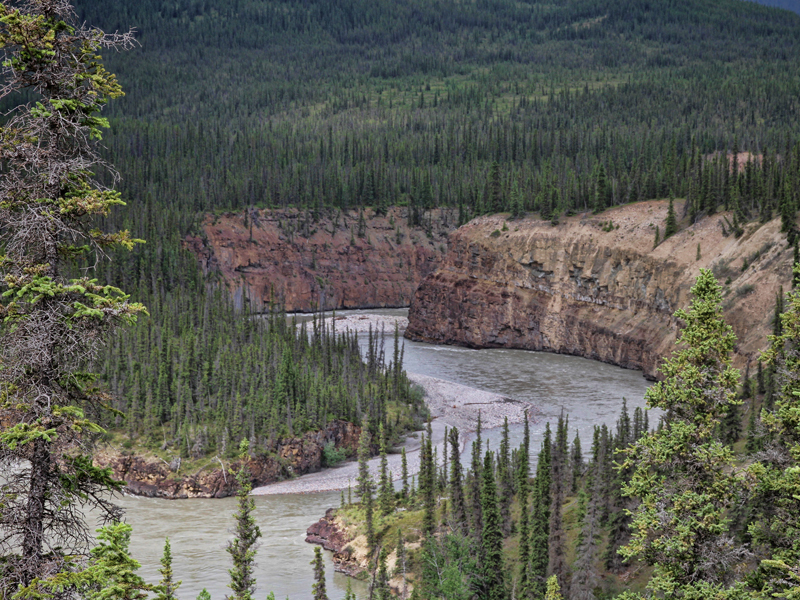 The Ravensthroat River is so remote that only three known canoe groups have paddled this route in modern times. Towering mountains, hot-springs, tufa sculptures, challenging rapids and five stunning canyons define this river as a world-class wilderness gem. 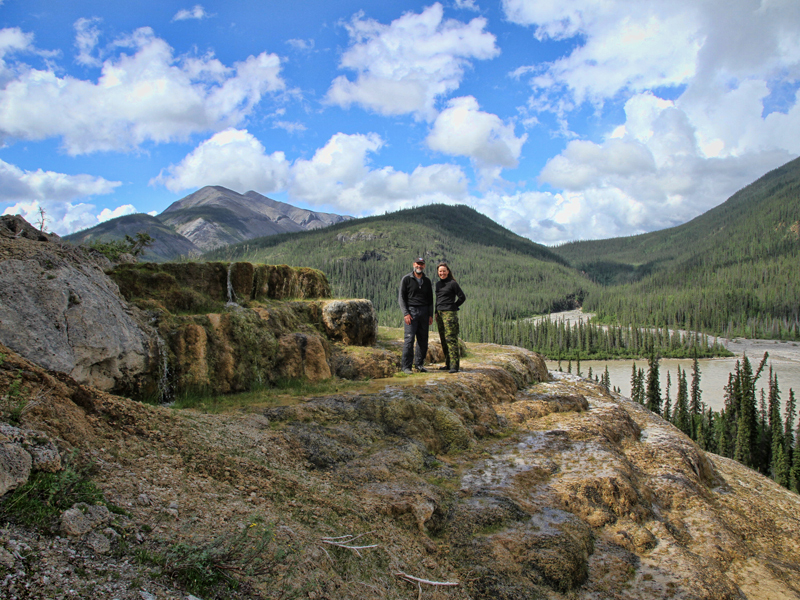 Wildlife viewings – especially for woodland caribou are frequent and the fly-fishing for grayling and bull trout is superb. 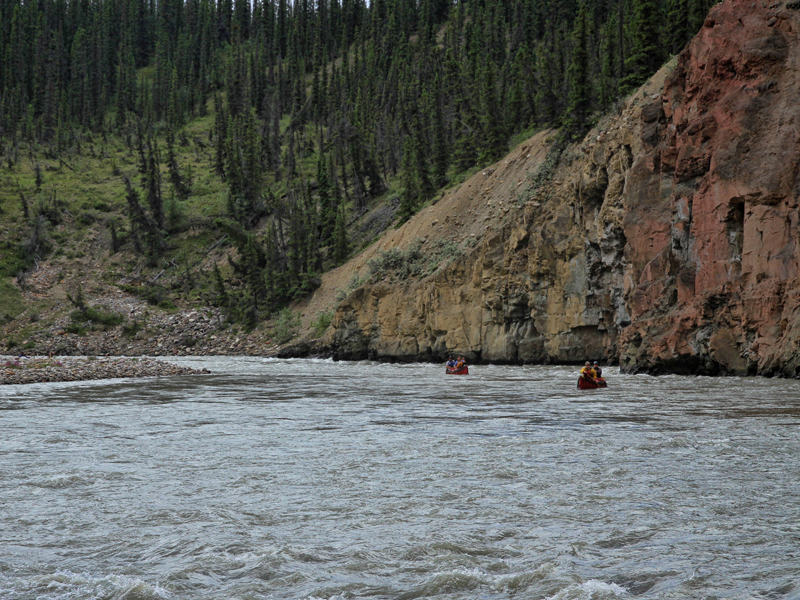 The continuous rapids and fast canyons offer a demanding challenge for intermediate or advanced canoeists. 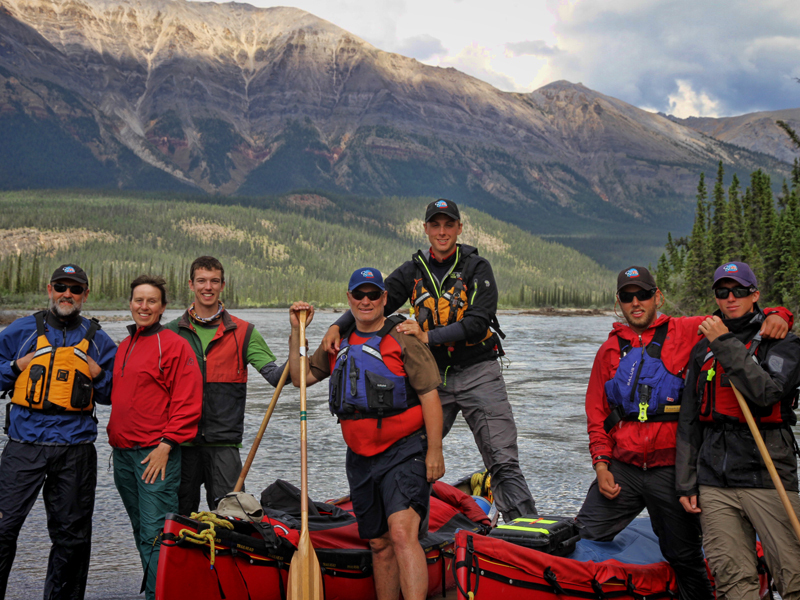 In 2012, Canoe North Adventures led an exploratory expedition on the remote Ravensthroat River and discovered a pristine and untouched wilderness. 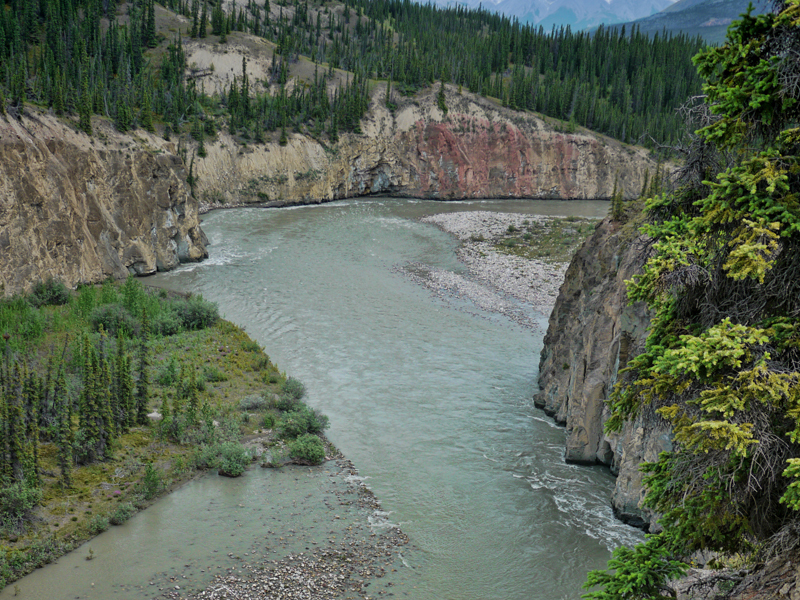 Only three canoe groups have paddled the Ravensthroat River. 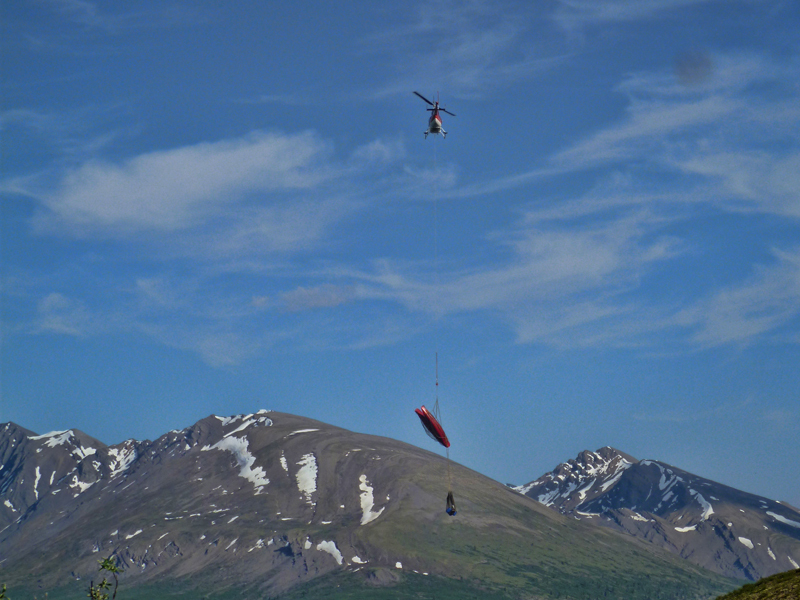 It is accessible by floatplane with helicopter support for slinging gear eleven kilometres to the put-in point. 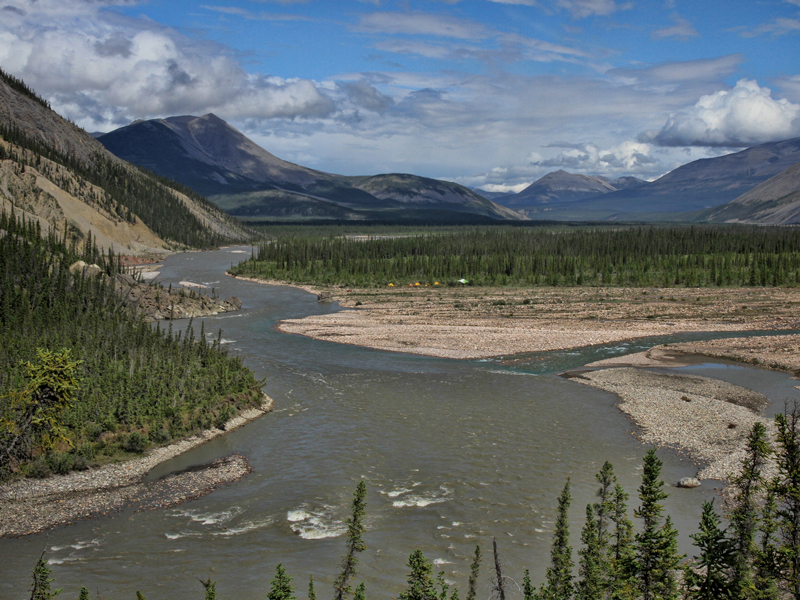 During the last ice-age, a non-glaciated corridor connected the Yukon’s Tintina Trench with the Ravensthroat River Valley allowing migrations of large game and ancient peoples to central Canada and beyond. 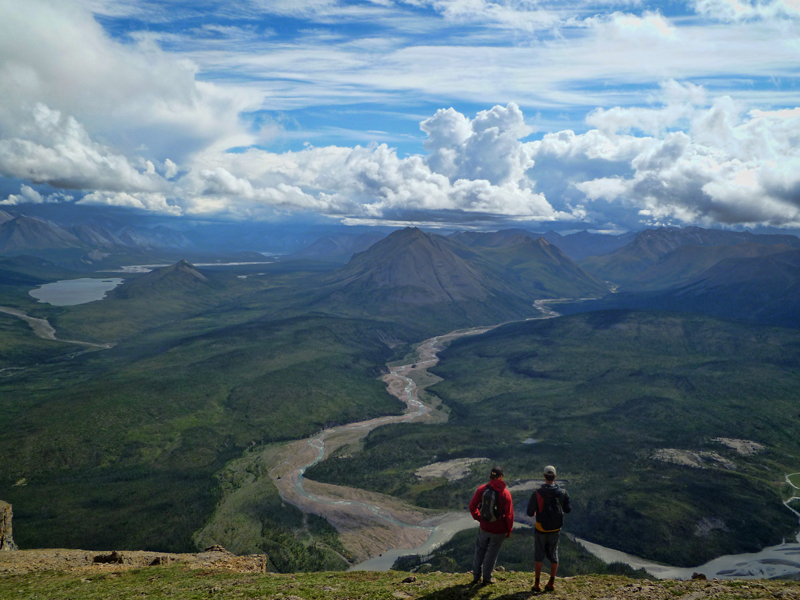 Because this region was undisturbed by glaciers, the flora and fauna are unique in northern Canada. In 1993, a National Geographic Crew discovered a bleached mastodon tusk lying on a gravel bar! 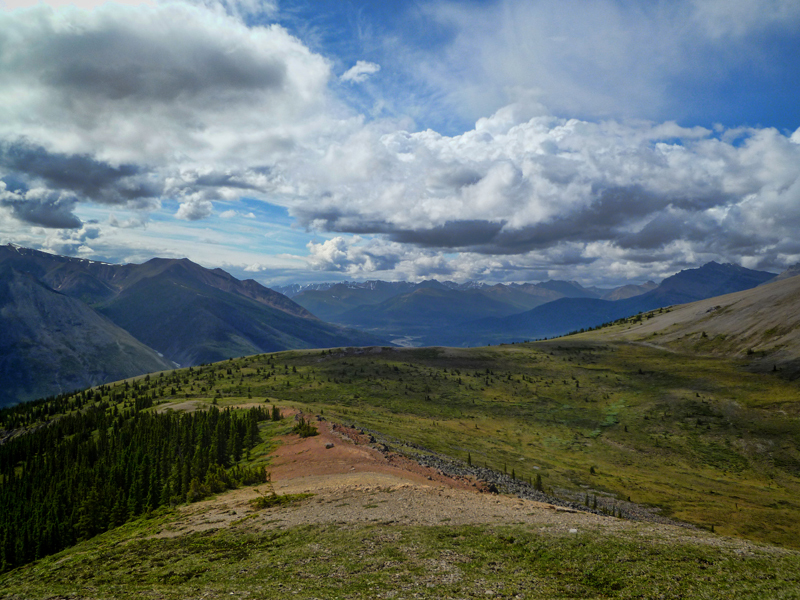 So few humans have experienced this untouched wilderness, large game like caribou, moose and grizzlies are surprisingly tame at first sight. 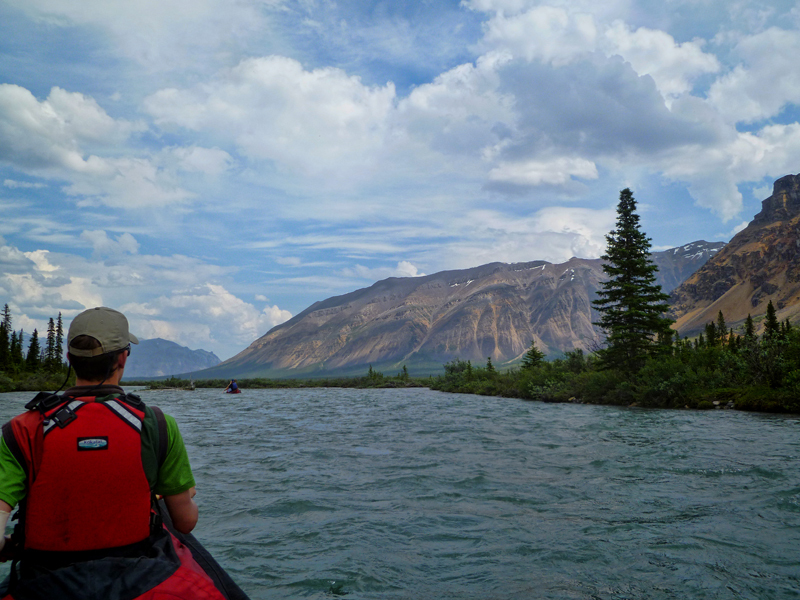 The headwaters of the Ravensthroat offer paddlers a nice warm-up to the more challenging rapids below the confluence with the Silverberry River. Enormous peaks with lush velvet valleys create a jaw-dropping view. At side creeks, bull trout and grayling are plentiful. The Ravensthroat is defined by five incredible canyons – each with a unique personality and challenging run. 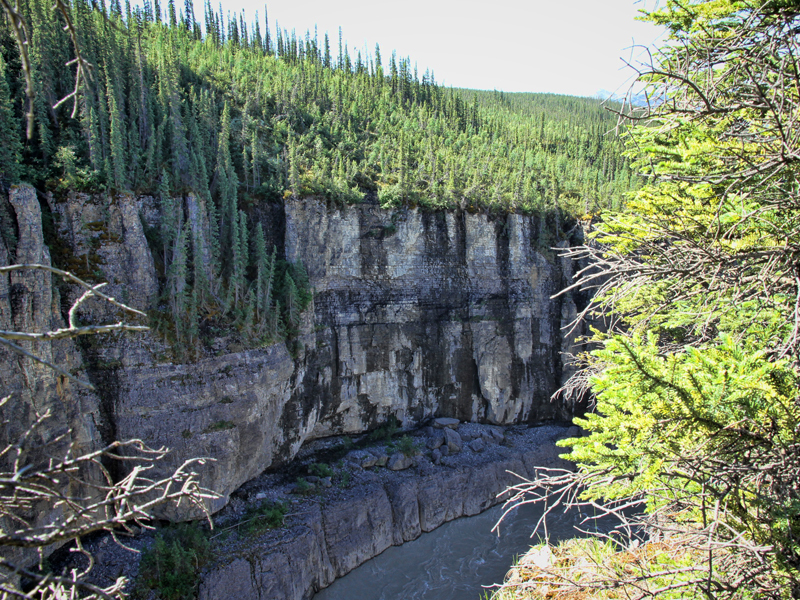 The fifth canyon rivals anything you would experience on the legendary Nahanni with sheer vaulted cliffs and a shadowy ninety degree canyon gate. A steaming hot-spring rises mysteriously on river-right before the confluence with the Redstone River. Nature provides an opportunity to pause and enjoy the sacred waters of middle earth! The Mountain Dene who hunted large game in this area, know this hot-spring to be a historic and culturally significant meeting place. At the confluence with the Redstone River, the landscape opens into a panoramic view of mountain vistas. A magical tufa formation complete with a terraced waterfall comes into full view on river-right and invites paddlers to explore an exotic and unique natural feature. Large volume rapids carry paddlers at fantastic speeds towards the majestic Mackenzie River and at no point does the current lose its tempo. Wolf dens are abundant in this area and sightings of pups and adult wolves are possible. 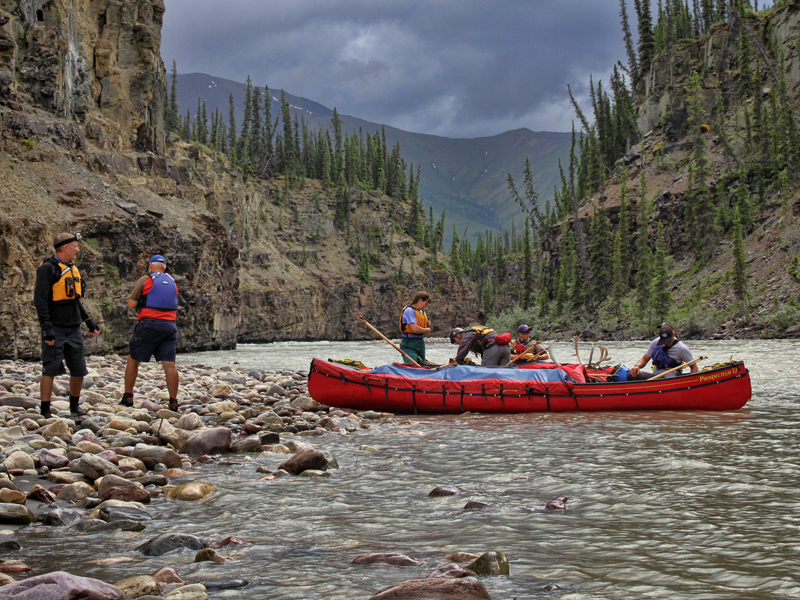 For the experienced canoe tripper in search of an absolute remote and less-travelled northern river, the Ravensthroat provides an advanced, dream-like river adventure like no other. Arrival We require that travellers arrive at the Canoe North Outfitting Centre in Norman Wells the day before they embark on their expedition. Day 1-2 Depart Norman Wells by charter floatplane for Divide Lake, deep in the Mackenzie Mountains near the Yukon Border. Great lake trout fishing and hiking in the wide open valley landscape. 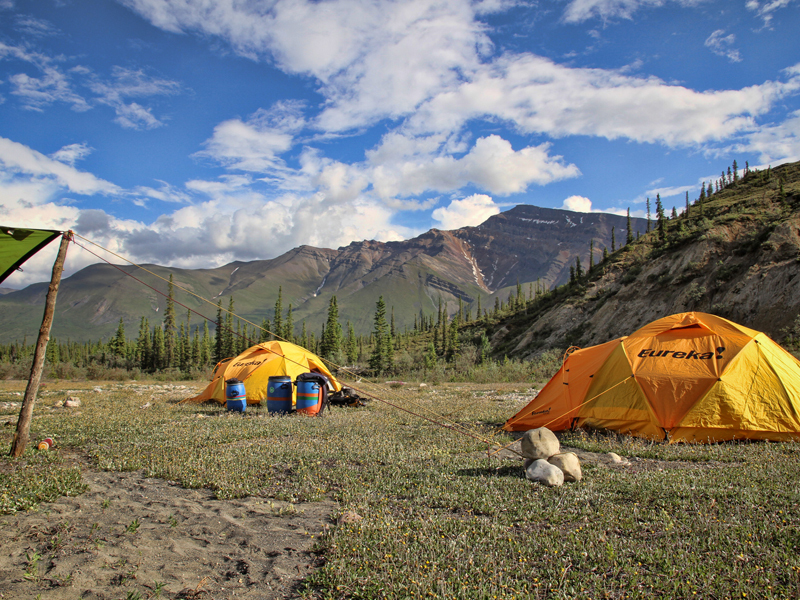 Day 3 Helicopter sling to Ravensthroat River and make camp surrounded by towering peaks and a lush green valley. Day 4-5 Easy rapids and swifts through gentle valley with stunning vaulted mountains. 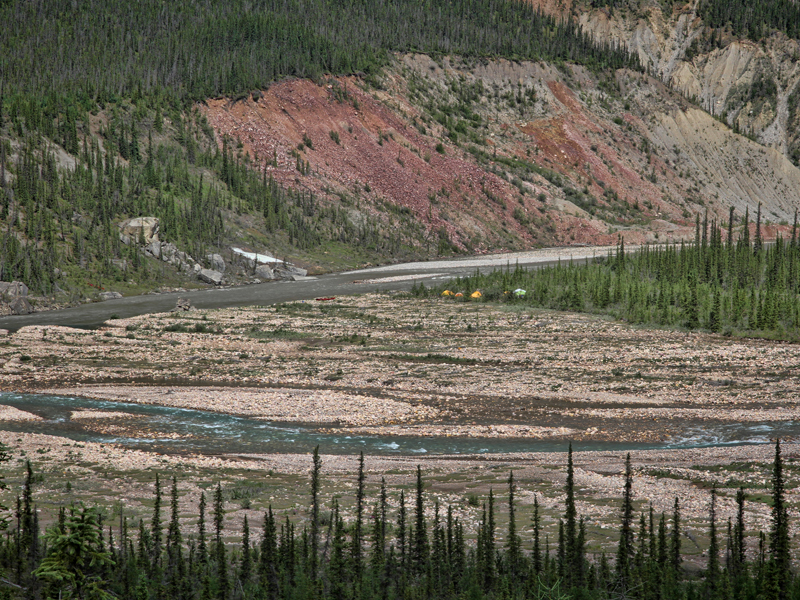 An icefield on the river may require some scouting for a path around. Day 6-8 Canyons present, great whitewater runs and scouting hikes past Silverberry River. Excellent bull trout fishing. Day 9 Confluence with Redstone River and relaxed, sprawling campsite with 360-degree big-sky panoramic view. Day 10 Explore unique cascading tufa formation and then run the slot canyon with 90-degree entrance! 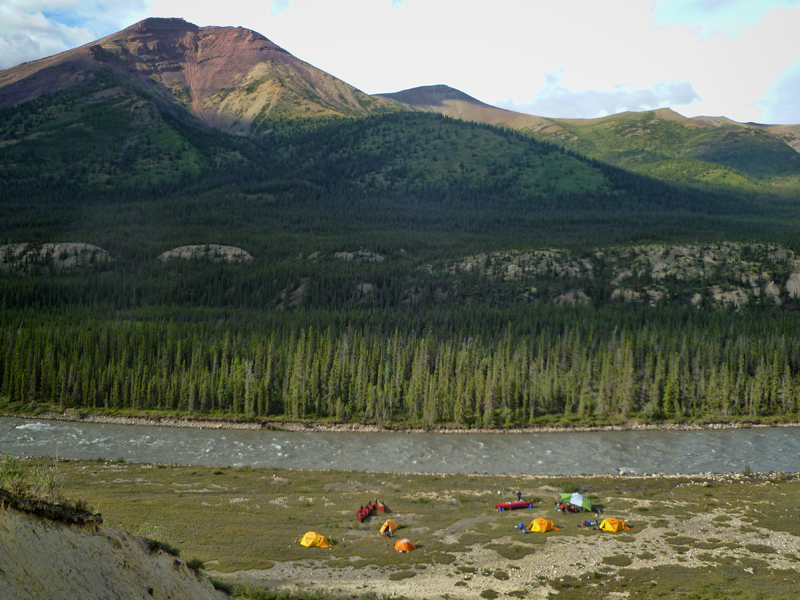 Day 10-11 Run swifts and rapids of lower Redstone to Mackenzie confluence and final camp just one mile downstream of the Keele River. Day 13 Return from Keele Confluence by charter flight to Norman Wells and final night dinner celebrations. Departure Travellers will depart Norman Wells the day after their expedition ends. Inquire about extended travel beyond Norman Wells.